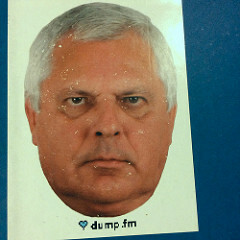 I’m saddened by the surprise death of dump.fm, which at its core was a chatroom where you could “dump” images you’d found elsewhere on the web or had made yourself. My words can’t do it justice, but its community of artists formed this playful language of juxtaposing images that was really fascinating and fun. It changed how I think about the internet and art in general, got me interested in net art, helped me discover some cool people, and led to me writing for Something Awful for several years, all of which I’m eternally grateful for.